Stefan Nagel is the Fama Family Professor of Finance at the University of Chicago, Booth School of Business. He is also a research associate at the National Bureau of Economic Research (Cambridge, MA) and a research fellow at the Centre for Economic Policy Research (London, UK) and CESIfo (Munich, Germany). Before joining the University of Chicago in 2017, Professor Nagel taught at the University of Michigan, Stanford University, and Harvard University. He obtained his Ph.D. in Finance at the London Business School. 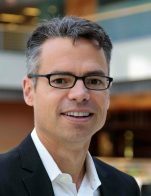 Professor Nagel currently serves as the Executive Editor of the Journal of Finance, one of the leading academic finance journals in the world (link to Journal of Finance Editor Blog). Previously, he was an editor at the Review of Financial Studies from 2014-2015.